There it is! 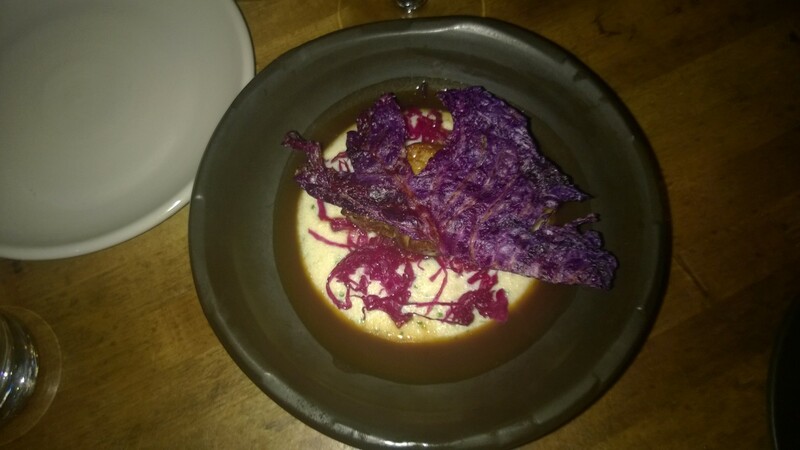 A really scrumptious restaurant in Los Angeles! It is called Ink and located at Melrose. To begin with the only but substantial concern: the acoustics of the dining room is horrorable. 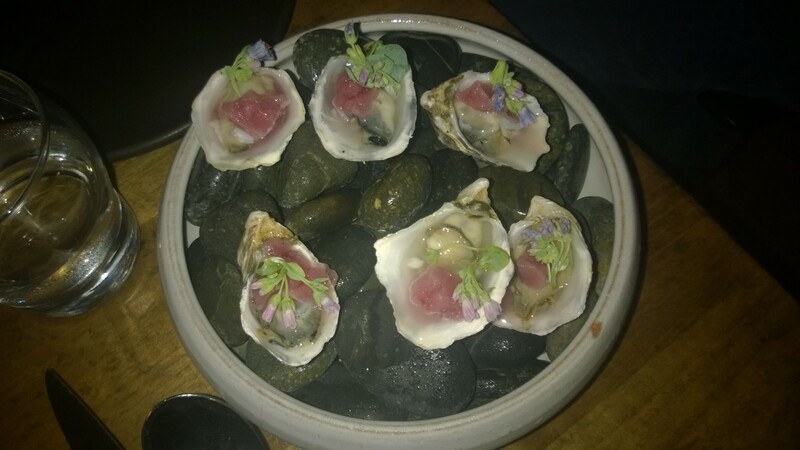 It isn’t something new that a restaurant in USA usually is much louder than a restaurant in Europe, but it really can kill atmosphere and flair of a place which offers so delicious and inspiring food as ink. I needed to become an expert in reading lips to understand what my counterpart told me while we spent some hours some weeks ago at Melrose Ave. I would prefer reading on lips the experience of good food than the content of my conversation since it would be totally understandable that visitors of ink smack one’s lips because of the exceptional taste experience. The main room of the restaurant looks a little bit like a former garage which has been rebuilt into a restaurant. Higher ceiling than normally, unorthodox sitting arrangements and visible kitchen – this is the feature of the restaurant. Anyhow, the design of a restaurant is much less important than the food. And this is just excellent. 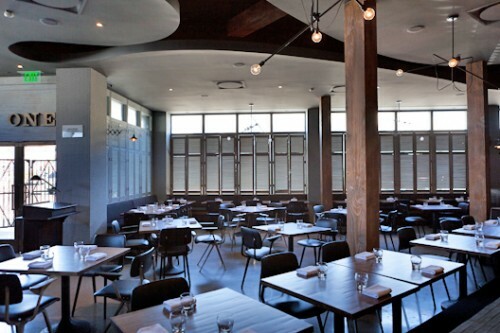 Michael Voltaggio is not only the chef but also – according Ink’s webpage – the owner of the restaurant. This would explain the impressive commitment of every person works there since you are treated very well, modestly polite and without this unpleasant approach of hundreds “specials of the day”. All specials of the day are on the menu! This may get updated once a while and depending to season and availability of ingredients. Reading the menu it is rather hard to recognize a kind of concept at the very beginning, but if you test different courses you will realize a very individual and special character of food. The offer is very rich in regard to the variety of directions – some meals refer to Eastern Europe, some to Southern America and another dish have an oriental approach. 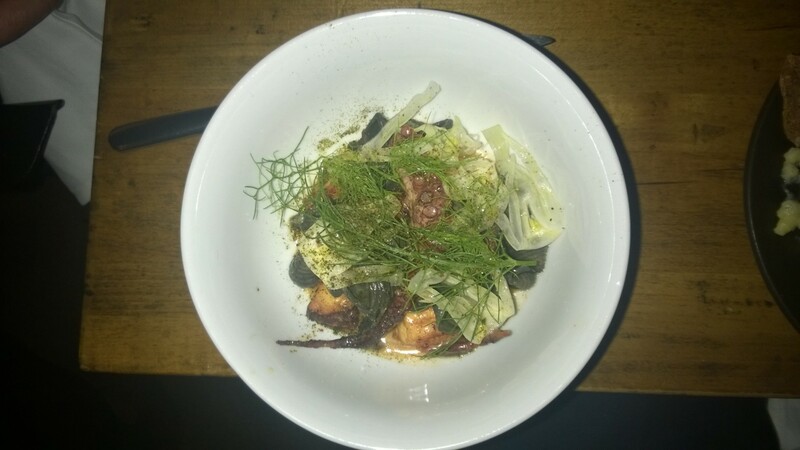 Cucumber salad, corn or octopus: this isn’t a connected perception. Many selections are based on very traditional recipes I guess, kind of home style cooking of our mothers combined with one or two surprising additions – many of us wouldn’t be brave enough to combine these. It is somehow very cosmopolitan and you could say that you taste a real LA kind of inspirations: a very international place, with a colorful population and varieties of cultures. Yes, this is basis of Ink’s menu. Each course has an individual note but also raises some memories of tastes of my childhood. And if it does not raise such memories, than because I haven’t been in Mexico knowing something about corn dishes. Some offers are bold and perhaps a little bit experimental. 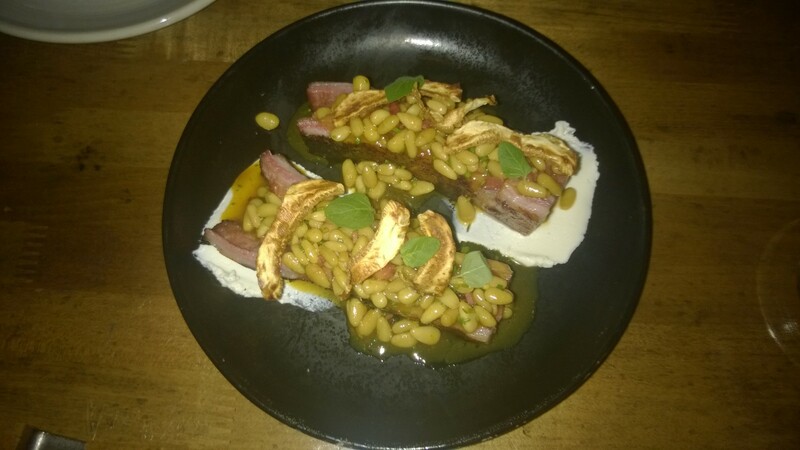 We all know pork belly, but I had never lamb belly before. And it is so delicious. 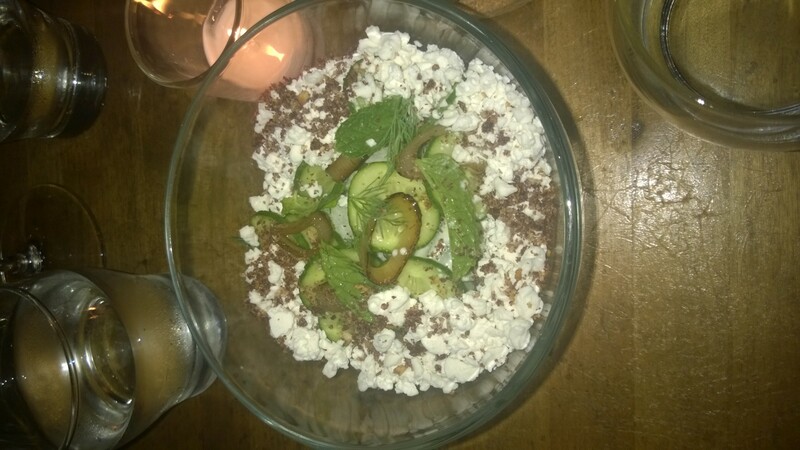 The corn “kind” of dish was for me personally one of the most exciting tasting experience since some time. It is of course a little bit sweet, but very special because of its freshness and real natural flavor. 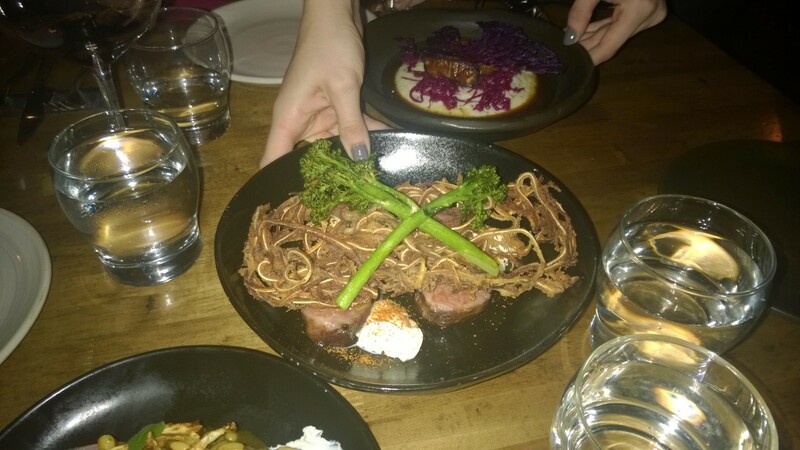 I have in many restaurants in Los Angeles and the majority were rather medium.. Ink which is a Melrose Ave so far my favored restaurant in Los Angeles. 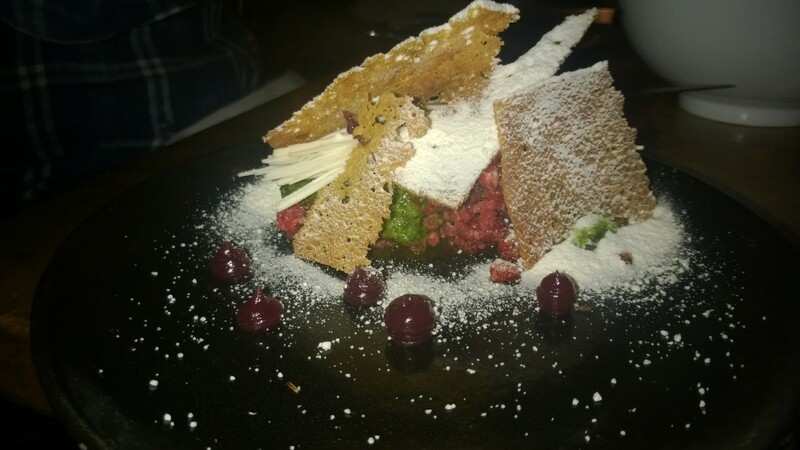 Wonderful food, good service, nice wine menu! 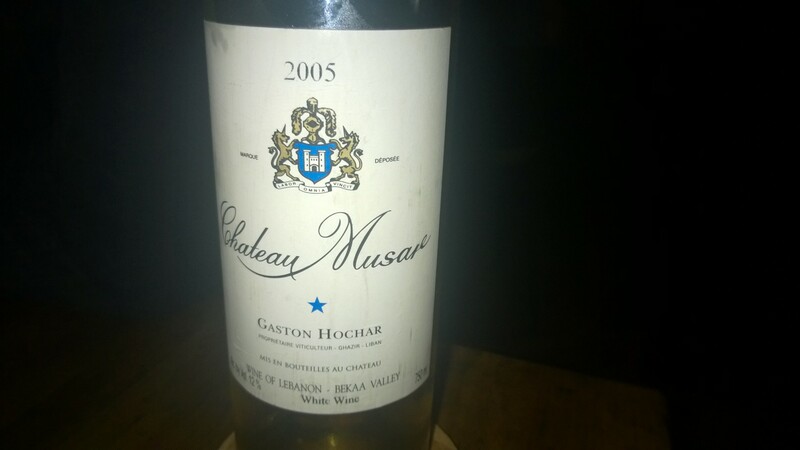 We had something rather rare this night: Chateau Musar, 2005. Make sure that you do a reservation in time. Here is the webpage http://mvink.com/ which is very nicely done and contains some further interesting information. If the location would be less loud I would probably give 7 points to the restaurant.